Students with life threatening food allergies or disabilities requiring diet modifications may have an alert posted on their meal account. This alert notifies the cafeteria staff that a dietary accommodation must be made and notifies them what food or foods to be omitted and the food choices that can be substituted. Please contact the school nurse on your child’s campus regarding any known food allergy or as soon as possible after any diagnosis of a food allergy. How do I get an alert put on my student’s meal account? How long does it take to get an alert put on my student’s account once the Dietitian has received the completed Physician’s Diet Modification form? Can I just drop off a note at my student’s school cafeteria from myself or the doctor to get an alert put on my student’s meal account? My student cannot drink fluid milk. Will they get juice or water as a substitute? Is it included in the meal price? Can I get an alert put on my student’s account if they are a vegetarian or cannot eat certain foods due to religious beliefs? My student is a diabetic. Does the cafeteria monitor what my student is eating? New for SY 17-18: The diet modification form will need to be completed every 3 years. This is to ensure that Katy ISD has the most up-to-date information on a student's food allergies or disability. This form must be filled out and signed by a physician or prescribing medical authority. Unsigned forms or forms only signed by parents will not be accepted. Forms may be turned in to the school nurse or faxed to the Dietitian. It may take up to 4 weeks to process once received by the Dietitian at the Nutrition and Food Service Office. The form must list substitutions. Incomplete forms or forms missing information will take longer to process. Students will receive a regular lunch tray until the form has been processed or they can bring a lunch from home. Allergen Charts - these charts contain allergen information for items served by Katy ISD Cafeterias. Important: Allergen information posted is based on information that Katy ISD Nutrition and Food Services currently has on file. 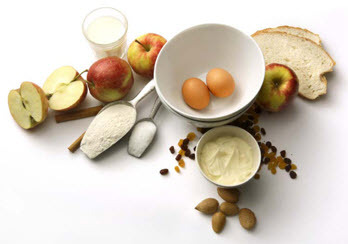 Allergen information is subject to change based on changes from manufacturers. Katy ISD is not always notified of these changes. 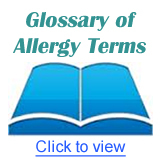 Allergen information posted is for parent and student information. Katy ISD Nutrition and Food Services does not monitor any a la carte purchases for allergens for any student. Product reformulation may occur at any time and may not be known by the Nutrition and Food Services Department. In addition, substitute products may be delivered due to product availability. Please contact the health care provider on your child’s campus regarding any known food allergy or as soon as possible after any diagnosis of a food allergy. The District has developed and annually reviews a food allergy management plan, which addresses employee training, dealing with common food allergens, and specific strategies for dealing with students diagnosed with severe food allergies. (2) fax: (202) 690-7442; o (3) correo electrónico: program.intake@usda.gov. Esta institución es un proveedor que ofrece igualdad de oportunidades.